The fitness industry never stops changing and evolving. 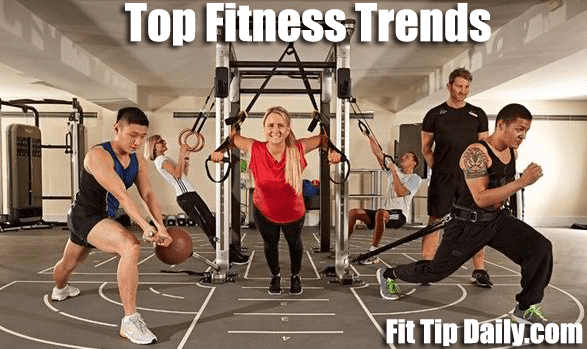 New fitness trends come and go, innovative classes and programs take over the gyms giving trainers and clients plenty to chose from and get confused over. According to a survey conducted by the American College of Sports Medicine, out of the 39 trends proposed, 20 made it to the top of the list. Here is your first 10. Not surprised by that taking the top spot. It’s a modality that can be done anywhere, extremely affordable and also trains your body in a functional way, since it’s working with it’s own weight vs. added pounds. It’s really is fitness 101 and the possibilities are endless. I’ve seen a resurgence of HIIT training in the last few months/years. 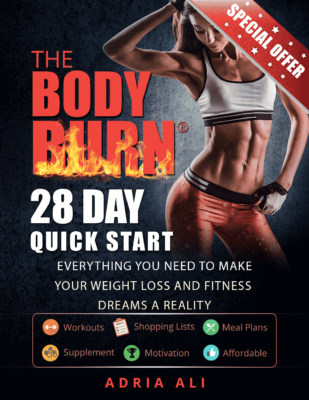 It’s an extremely effective way to maximize your calorie burn and minimize the time spent at the gym. The idea is going from quick bursts of work to a short recovery, then back to work. It’s usually done under 30. Because of it’s nature, the risk of injury is a little higher, so make sure you execute it safely. While it should be a no-brainer, there are still so many “fitness professionals” out there without proper qualification or expired certifications. It’s a risk to your client and just unethical. The survey shows that now, more so than before, potential clients seek out trainers with accreditations from one of the more reputable organisations such as ACSM, NASM, NESTA etc. Still an important part of a well rounded training regiment, and a main focus of most health clubs. Strength training is still used as a tool to build more muscle and even endurance. Lately there has been an increase in students graduating from a related field, getting ready to enter this profession. Health clubs and wellness facilities seems to also place more emphasis on education and proper accreditation than before. There’s a rise in a combination of both workouts and nutritional coaching. Most professionals these days combine the two, offering both the physical and dietary component, including a clean diet and caloric restrictions if needed. While it’s been around for quite some time, people are seeing the benefits of it, complimenting their training routine. It’s not only great for strength and lengthening the muscles, it helps establish that body-mind connection, helping to be more in touch and working with what’s going on on the inside. More and more adults over 50 seek regular exercise in order to prevent or suppress various conditions and help keep their independence and mobility later in life. There are specialized programs and certifications gear towards the elderly, helping them stay mobile and balanced. It’s one of my personal favorites, yet it’s pretty overlooked, even underrated. Functional fitness helps you train for everyday life, improving balance, core strength, stability, helping you with everyday moves, decreasing the risk of common everyday life injuries and helping you ease daily living. It is especially good for the elderly, whose motor skills and balance are not longer that good. There’s a rise in group training for many reasons, one being financial. It’s more affordable, yet you still get the attention of a professional. Also often times having people you work out with inevitably establishes a buddy/accountability system. You are less likely to slack or skip workouts when you have a whole group counting on you. So here you go folks, this is your first round. Which ones are your favorites, that you like to do yourself? Check back for the second instalment. In the meantime, can you guess what those would be? Leave a comment about the next 10 fitness trends in the comments section below! Wow, I had no idea I was such a trendoid! I think I've hit all of these in the last couple years, with the possible exception of functional training. Not sure exactly what that is. But I've managed to keep a sustained fitness regimen going into my mid-fifties so I guess it must be working. Yoga, weight training, and group and personal training have been especially effective. I think sustainability is the most important thing however. I know way to many binge-purge exercises. Don't be one of those.